A slow burn that takes your hand and guides you through a captivating oceanic realm. Let me preface this review by stating that RiME isn’t for everyone. It’s a slow, solemn puzzle platformer that requires a lot of patience. If you aren’t a fan of the genre, you won’t be able to extract the full experience that RiME has to offer. Additionally, among the top questions asked in relation to RiME is whether or not it’s worth purchasing on the Nintendo Switch. My quick answer is yes, but I want to stress the importance of separating the two entities. RiME wasn’t a game built exclusively for the Nintendo Switch, despite graphical comparisons to The Legend of Zelda: Breath of the Wild. RiME plays like a passion project, a creative landscape pulled straight from a dream. When you first load up the game, you notice just how gorgeous RiME is to look at. 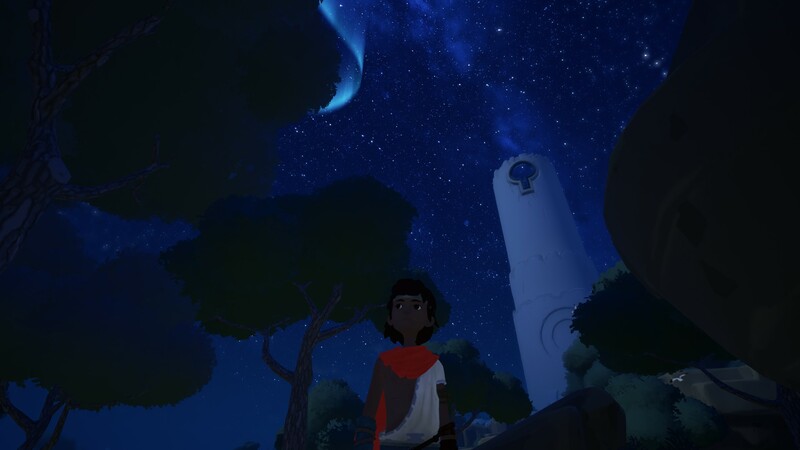 From the shimmering waters, to the breathtaking day/night cycle, right down to the ivory white towers that you climb and explore, RiME is a visual marvel. These mesmerizing vistas are given extra beauty as they’re backed by a powerful soundtrack (one of my favorite game soundtracks of 2017 thus far). Arguably, RiME’s two greatest strengths are its visuals and sound. Where it starts to fall short is the delivery of its message. With that, I want to dive a little deeper into RiME’s story; namely, what it got right and what it got wrong. Note: A full spoiler warning is in effect for the remainder of the review. If you haven’t completed RiME, I suggest returning once the game is completed. 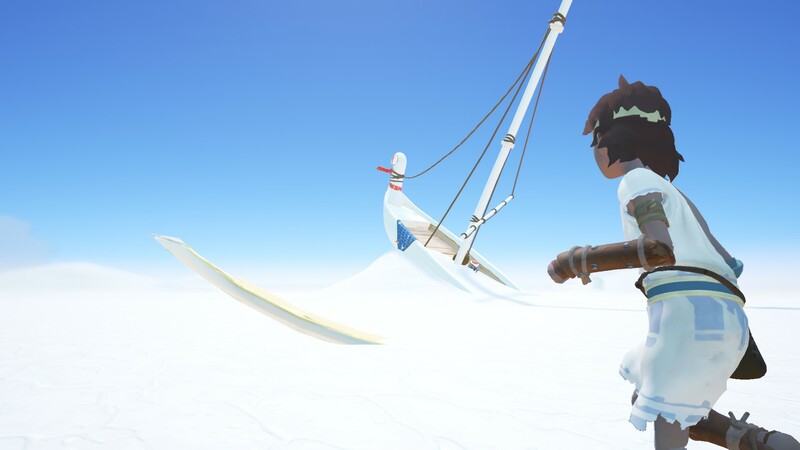 The story of RiME begins with a young boy stranded on a mysterious island. 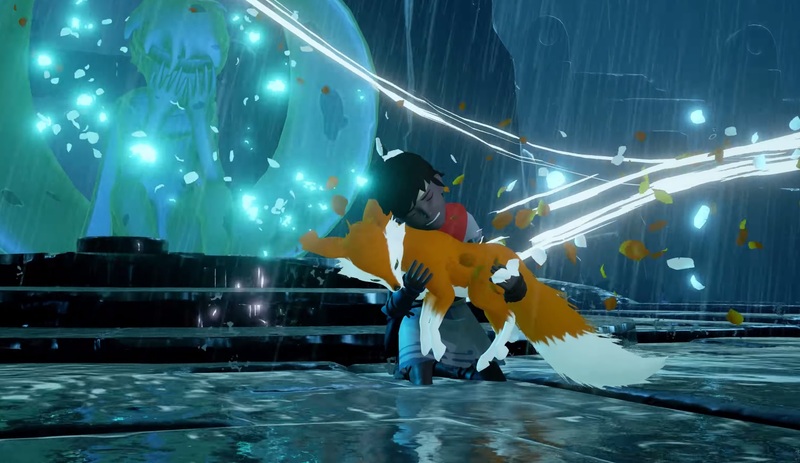 Now, I want to refrain from making too many comparisons to games like Journey or Abzu, but there are a few similarities worth mentioning to fans of this particular category of games who may be interested in picking up RiME. First, there's no dialogue in RiME, as the boy is restricted to interacting with the world around him by shouting out to blue statues, or by humming to himself. Second, you’re given no instruction on how to solve the various puzzles you encounter. They’re kept purposefully simple so that you can figure them out on your own, while ensuring they’re cumbersome enough to make you feel like you accomplished something. 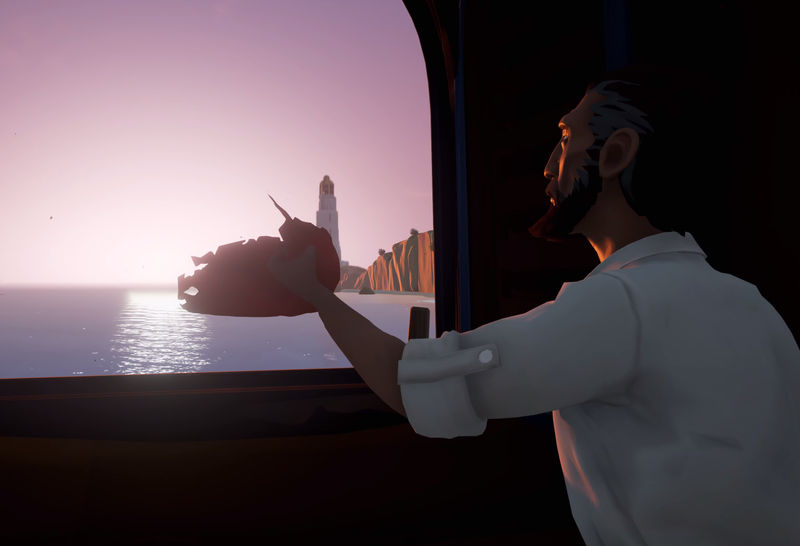 Finally, the melancholy tone that seems to pervade the game from start to finish borrows a lot from anonymous characters found in Journey and Abzu. 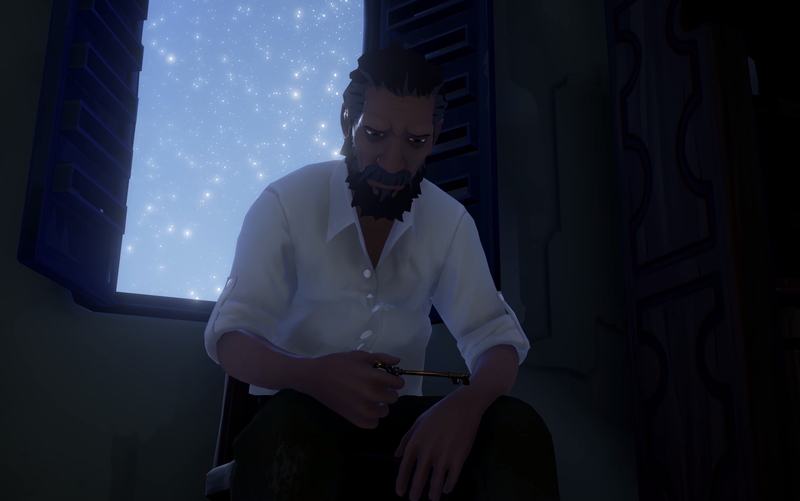 Even by the game's ending, you don't know much about the boy and his life before finding himself stranded on the island. 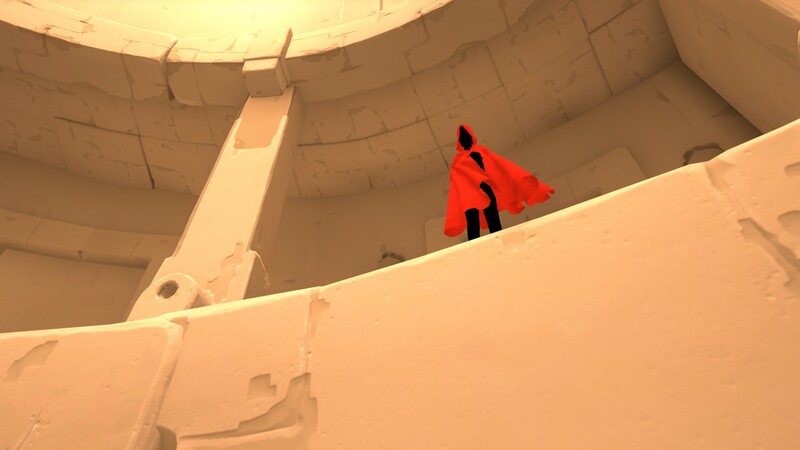 Furthermore, RiME wastes no time introducing you to the mysterious figure in the red cloak whom the boy chases throughout the game. It’s in these moments that you get the feeling that the boy has lost something (or someone) that was close to him. Aside from chasing the mysterious cloaked figure, the boy is accompanied by a mystical fox you free from stone. Despite how welcome it is to have a friend, the mystical fox isn’t inherently real, and you’re actually given glimpses of this throughout the game if you pay close enough attention. For example, the fox appears to be composed of delicate autumn leaves, especially in moments where you see the fox jumping around. 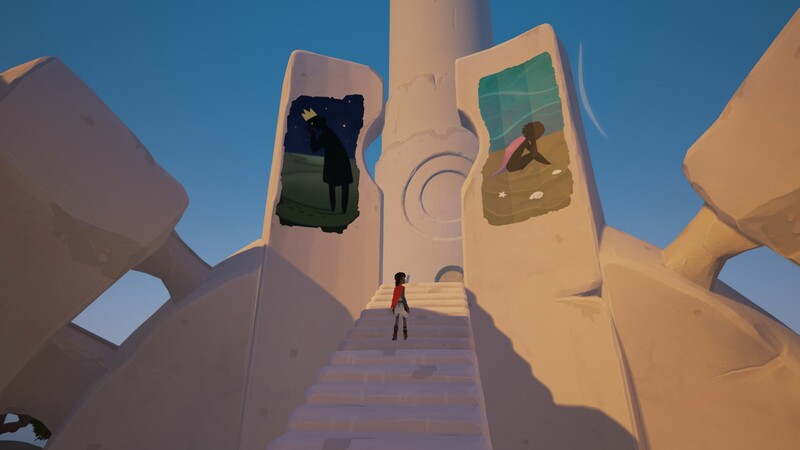 RiME seems to be a realization of coming to terms with something that cannot be changed, that’s set in stone like the statues of people (which remind me a lot of Pompeii) that the boy encounters in the later stages of the game. 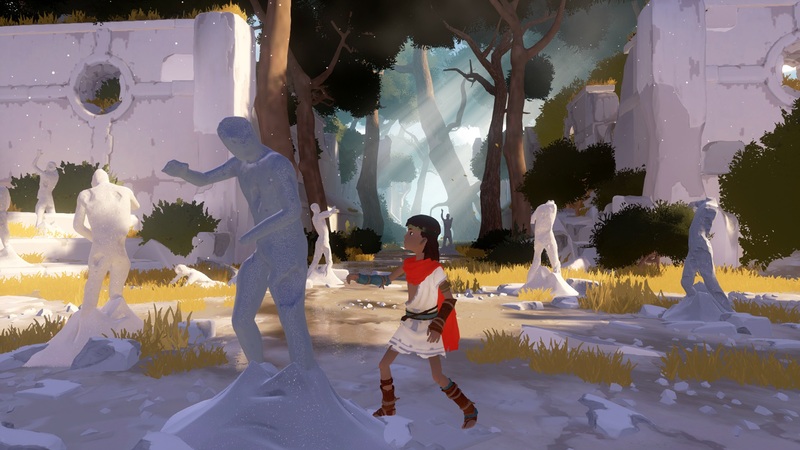 The first half of RiME is stoic, detached, and reserved, while the middle is the epicenter of action. Despite RiME being enjoyable, it’s the ending that elevates the game. Notably, each character’s final acceptance of the truth despite how painful this truth is. Indeed, RiME diverts from the ambiguous endings of other games in this genre and instead adopts an ending that’s far more grim. The person within the red cloak is the boy’s former self, who he became separated from after perishing in a shipwreck. At the end, the boy confronts a stone image of himself and realizes that his fate is set in stone. He has crossed over to another realm, leaving his father and former life behind. The fox dissolves away in his arms, and he cries out activating the stone’s powers which encases him in stone. Within the stone, you can hear the anguish in the boy's voice as he continues screaming. When he finally breaks out of his stone chrysalis, he emerges as a black shadow and watches the other shadows descend into a dark chasm. With his quest complete and nowhere else left to go, he follows the shadows down into the darkness. Meanwhile, his father completes a more traditional grieving process. You see the boy's father sit with the key to his son’s room in his hands. After working up the courage, he finally unlocks the boy’s bedroom and stares out the window at the sea. Soon, he's greeted by a spectral image of his son, whom he's allowed to hug before the boy disappears. This helps give his father closure. With the last scrap of his son’s red raincoat (not a cloak after all) in his hands, he releases it into the wind which carries it off to sea, symbolizing that he’s finally accepted the reality of the loss he’s suffered. 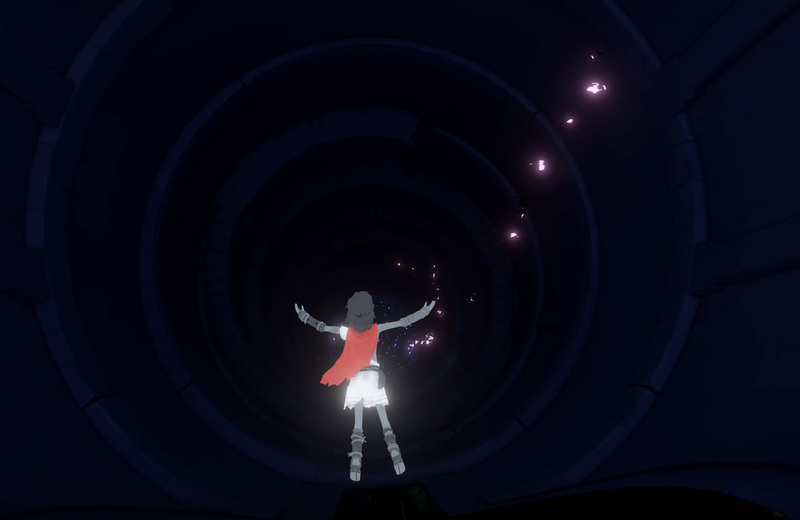 The sight of him letting go both literally and metaphorically is one of the hardest parts of RiME to stomach. Even though these two characters are fictional, you can really feel the weight of their tragedy. As such, RiME’s ending is the most praiseworthy component of its story. Unfortunately, the meaning can get muddied by some of RiME’s forced ambiguity. You can guess that something has happened, but the realization that the boy has been dead the whole time feels like it comes out of left field in a way. Some have even compared it to the ending to M. Night Shyamalan's cult classic, The Sixth Sense. Only this time, it’s the boy who’s been dead all along. I can’t fault RiME for the portions of the story that I feel didn’t work, though, as I concluded the game feeling incredibly moved by the final act. RiME is a slow burn, and isn’t for gamers who find themselves bored by games like Abzu or Dear Esther. Furthermore, if you’re only interested in RiME because it’s a new IP coming to the Nintendo Switch, you may want to do a bit more research before writing it off as either “good” or “bad.” RiME lives up to the reputation set by its predecessors. No, it’s not Journey nor does it have to be. It may use the same conventions, but the last half of the game succeed in flipping things on their head. It’s a tragic tale, one that deserves far more recognition and praise than it has currently been receiving. For more information on RiME, be sure to check out the game's official website, or purchase RiME on Steam. Engaging puzzles that are approachable, yet challenging. A beautiful soundtrack that perfectly encapsulates the themes of the game.